Sometimes I'm a total sucker for things I see advertised. 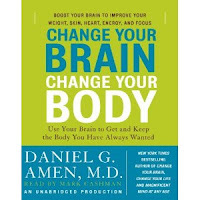 After seeing Dr. Daniel Amen on PBS recently, I went out and read his new book: Change Your Brain, Change Your Body. It was actually interesting. It's chock full of all sorts of advice about diet and supplements that can either explain your sorry state, or improve your life. For me, it might be a bit of both. Maybe it's all hogwash, and maybe it's not. I'm willing to try some new supplements and judge for myself if it helps. Even if I fall prey to the placebo effect, that's still fine with me. 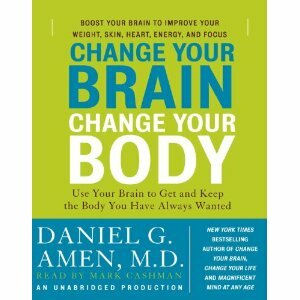 Here's Dr. Amen's website for the book. It's got tips and such for diet, exercise, and more. There's also an online questionaire for determining your "brain type" and see how you might self-medicate with over-the-counter goodies. It looks like he's really milking his recent notoriety and is selling his own brand of supplements.